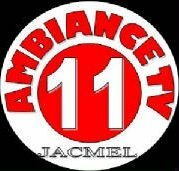 General TV Channel / Radio Ambiance FM is a commercial radio with educational and cultural vocation for the city of Jacmel & its suburbs. Today by creating Ambiance FM, my desire is to start a new generation of young radio based on relaxation. Ambiance FM also wants to give an account of all the daily life: social, political, economic, playful, cultural & musical. This by constituting real professional programs established on a musical format interspersed with short information & comedy constituting a dynamic in the programs to a wide audience. Ambiance FM is the communication tool indispensable to the services of all.